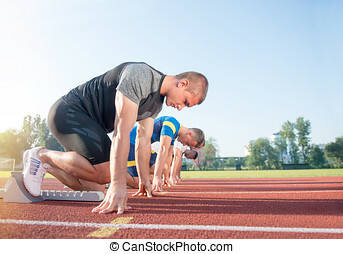 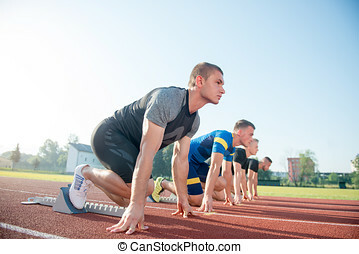 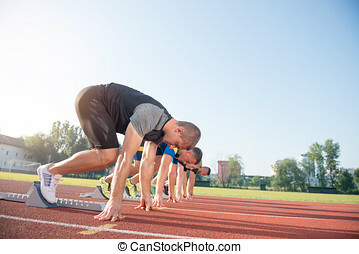 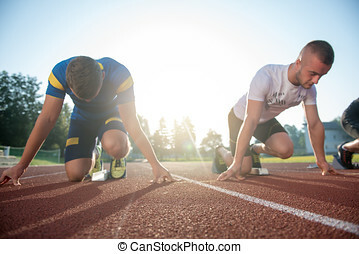 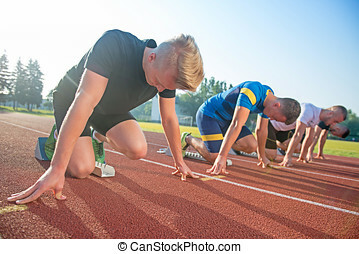 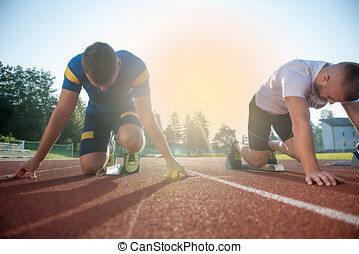 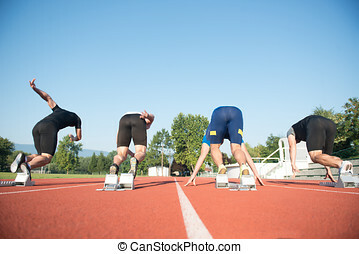 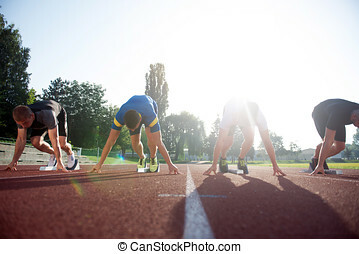 Cropped people ready to race on track field. 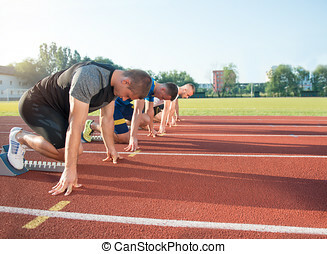 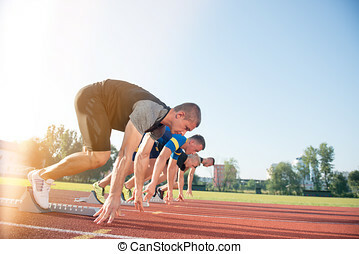 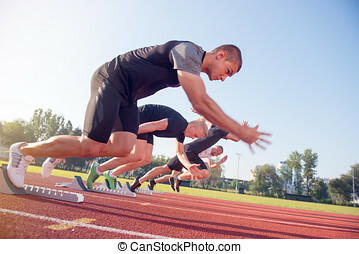 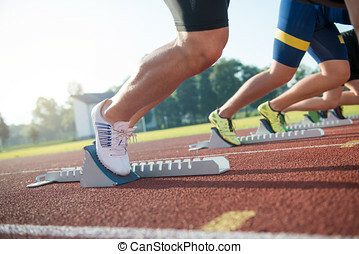 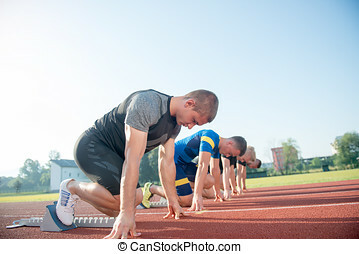 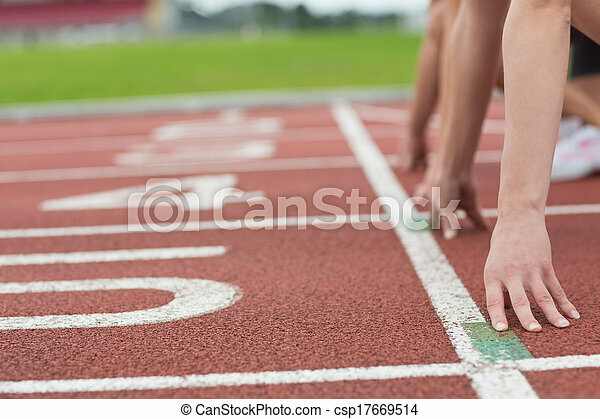 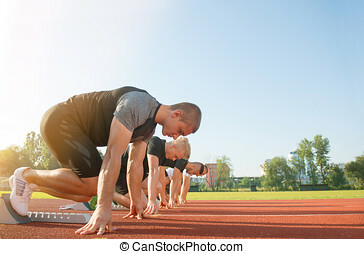 Close-up side view of cropped people ready to race on track field. 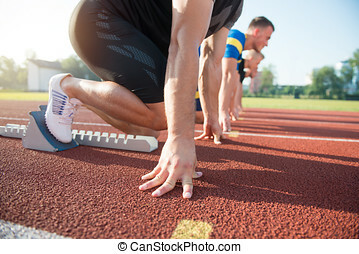 Close-up side view of cropped people ready to race on track field.